Polaroid cameras were big in the 1970s and early 80s. Younger generations know the lyric from OutKast’s “HeyYa,” but few have actually had to “shake it like a Polaroid picture.” In a digital age where photos that you take appear instantly on your phone screen and where your entire photo collection can sit in your pocket, the instant camera seems unnecessary. 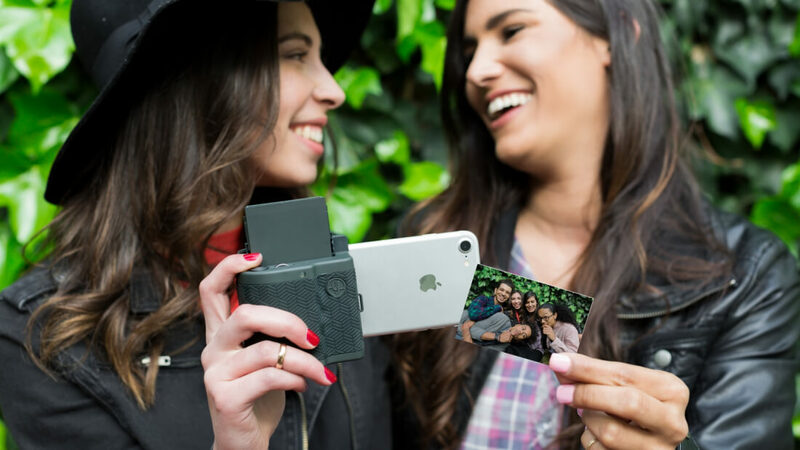 However, upstart Prynt thinks instant pictures are still a thing, and they might be right. The company has introduced the Prynt Pocket, which is a portable instant printer for the iPhone. The company calls it “the first-ever smartphone printer/phone case,” but it looks a bit too bulky to fit in your pocket, so "case" might not be the right word. However, it would stash just fine in a briefcase or purse. The device is ink-free, so there is no need to buy ink cartridges or worry about a spillage mishap. You only need to keep it supplied with Zink paper. Zink is specially treated photo paper that reacts to heat. The pictures will not smudge if you touch them and the paper has an adhesive backing so you can paste the pictures in a scrapbook or album with ease. The Prynt app has basic editing software that can be used to edit photos before printing them. However, the app serves another function as well. Using the software, you can embed a video (up to 10 seconds) within the printed picture. Anyone else with the Prynt app installed can watch the video right on the printed photograph using augmented reality. It is a rather cool looking effect (see above video at 0:20). The Prynt Pocket is compatible with iPhone 5 and above. It is adjustable, so it works with Plus models. It also has a camera-like grip with a shutter button, so you can snap photos without worrying about whether your finger is in the way. The size of the print is the only real limitation of the device. Prynt Pocket photos can only be 2x3 inch. Good for an album, but not suitable for framing. Refills of the Zink paper come in packages of 40 sheets for $20, which also seems somewhat expensive. The device comes in three colors and is available for $150 on the Prynt website.